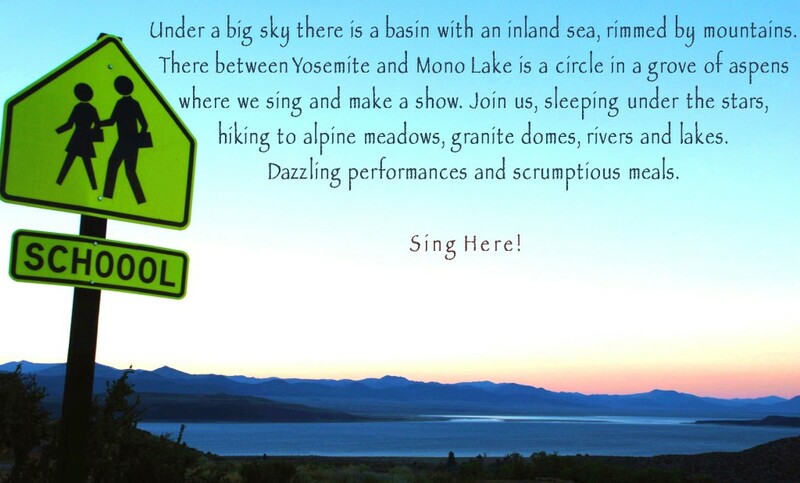 Ooolation is an experience where two of the most fun things in the world happen: being outdoors and singing. People who attend Ooolation share a wide-open enthusiasm for diverse musical roots, a wide range of vocal colors, and performance ideas. Attendance is based on an audition free, self selected process. Whether they are singers who like to move, dancers who like to sing, teachers, conductors, actors, instrumentalists, poets, artists, athletes, ear-learners, or sight-readers, they all share a passion for music making. Ooolation is where they can live, eat, and breathe song.